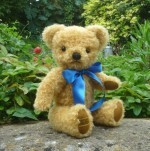 View cart “Curly Gold Bear 14″ by Merrythought” has been added to your cart. 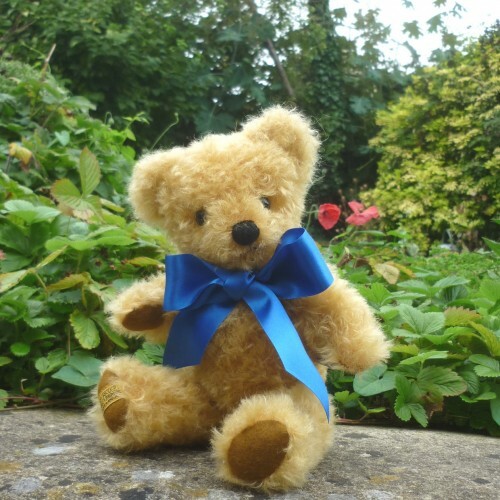 A cousin of Merrythought’s London Gold teddy bear, this traditional character’s rustic light gold mohair gives him a slightly informal, yet friendly expression. He has oak brown wool felt paws and wears a royal blue satin ribbon.